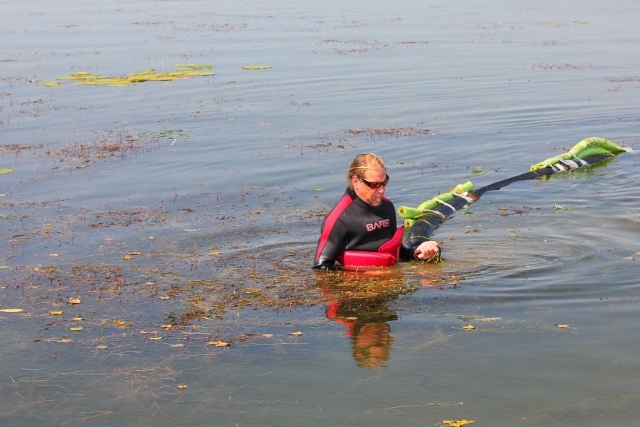 Suction weed harvesting is a process of aquatic plant removal, different from manual weed cutting. Divers identify the target plants, loosen the plants by their roots and guide them into a suction device. This process is known as Diver Assisted Suction Harvesting, or DASH. 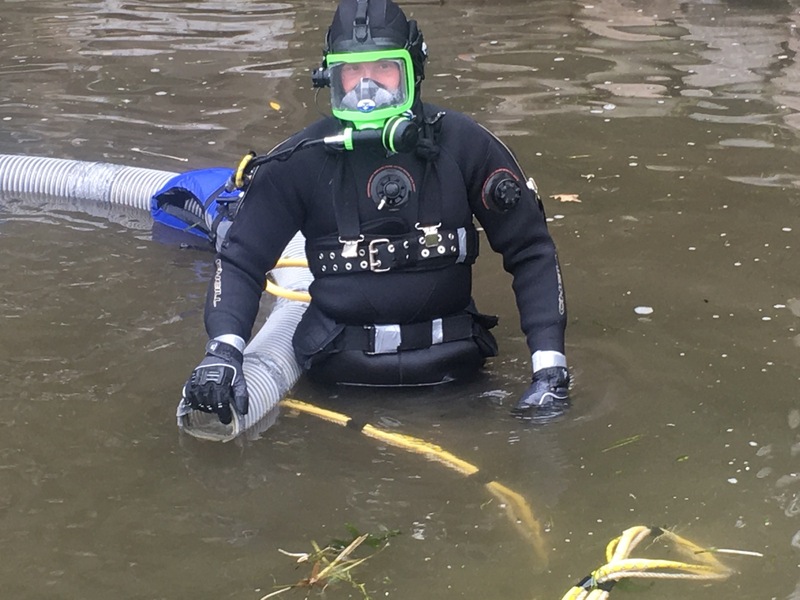 When targeting smaller areas such as lake frontages for private owners, it is often more productive and more effective than hand harvesting alone, where the diver faces limitations on the amount of vegetation that can me removed at any given time. Extraction of plants by their root systems as opposed to cutting the stems is critical. There is a much better chance of eliminating the unwanted vegetation by root removal, rather than only slowing growth temporarily and producing vegetative fragments that can propagate into another plant. Wisconsin DNR has recommended this process as an alternative solution to chemical treatments, especially in smaller target area situations. The suctioned material is deposited through a mesh bagging system. And the material de-waters. This process allows material to be moved in large amounts, increasing efficiency in both removal and disposal. Advantages of this harvesting method are that specific areas or nuisance species can be targeted for removal. This significantly reduces the risk of the unintentional destruction or taking of protected, endangered, and desirable native species. 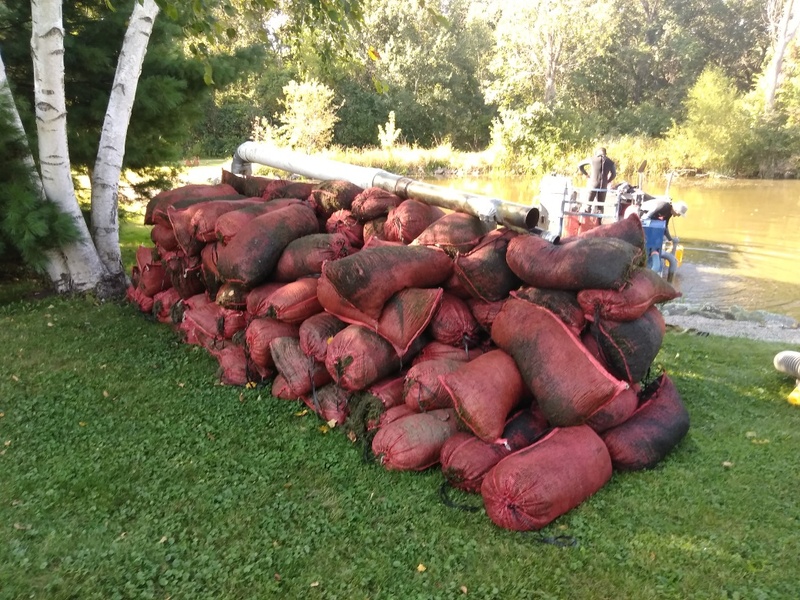 Often lake associations will contract Eco Waterway Services for targeted eradication of invasive aquatic plants. And property owners clear a navigation path for which their vessels can pass through without incident. Our dive harvesters can target nuisance species, spare natives, protected and endangered plants. Collected weeds are transported off site.